Morrisville, NC – With the growing trend in poke, a new restaurant in Morrisville is looking to stand out with a focus on quality, local seafood and a unique setting. 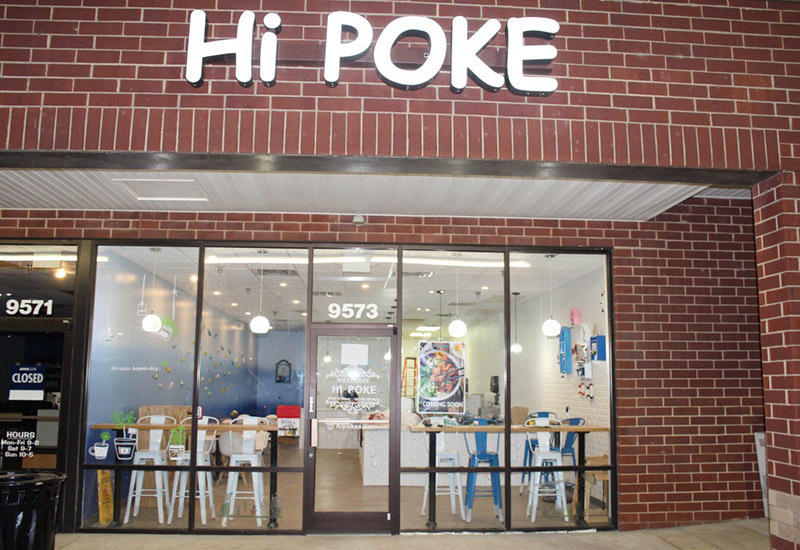 Hi Poke on Chapel Hill Road in Morrisville is opening in late May 2018, selling primarily poke bowls with other seafood as well. Poke (pronounced poh-kay) is a salad made with raw fish with vegetables, fruits, sauces, seasonings and grains mixed in. Options at Hi Poke include tuna, eel, chicken, shrimp, octopus and daily catches, as well as other components such as mango, furikake, avocado, edamame, onion and more. 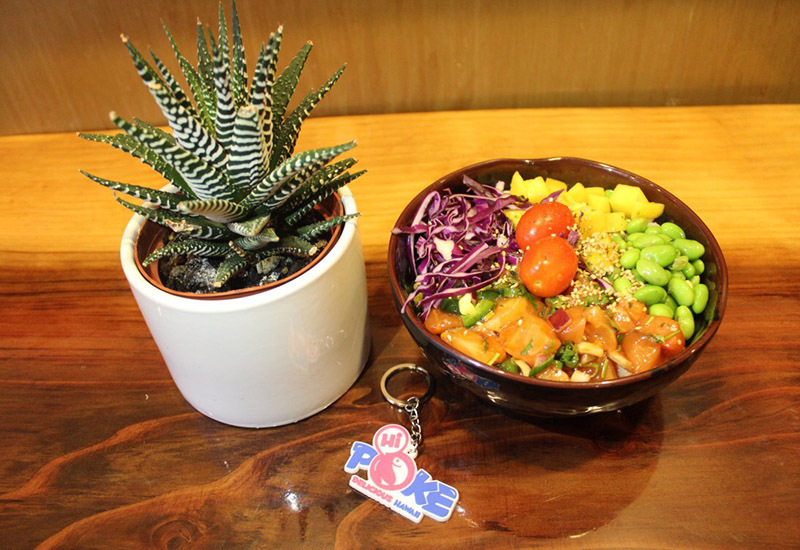 Poke started originally in Hawaii – “poke” in Hawaiian means “to cut” – and the interior of Hi Poke reflects that origin. Lin said Hi Poke will be able to provide customers with top quality products because they have partnerships with local farms for both fish and produce. “We can also make special orders from our seafood partners,” Lin said. They will also have options for people with dietary and personal restrictions. Lin said she and her business partners were interested in not only opening a restaurant but opening one that uses their own ideas. 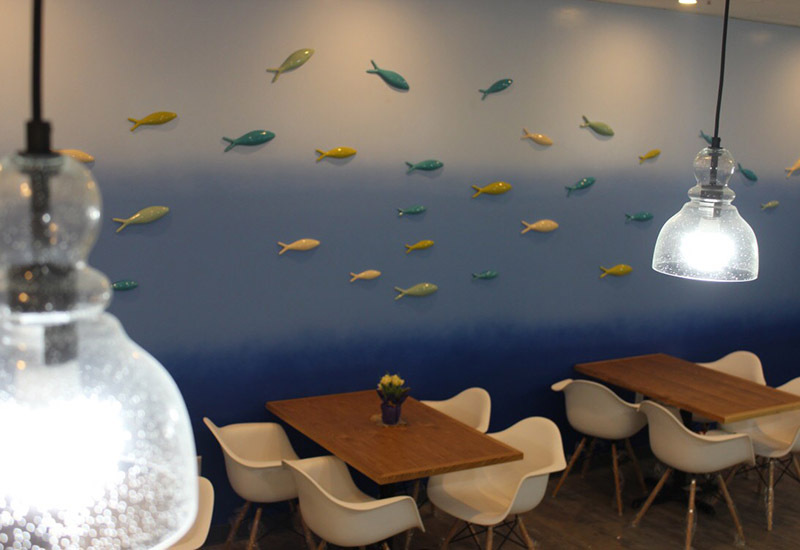 And to that end, the interior decorations were also done by the owners and manager. “We painted the walls, designed the interior, put up decorations,” she said. 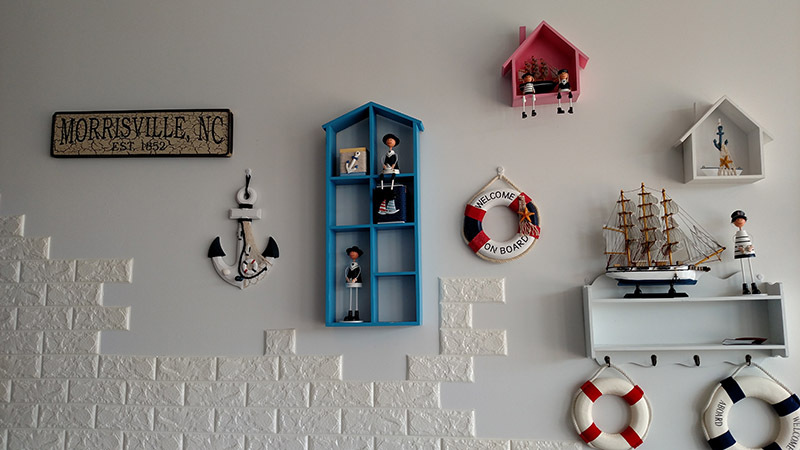 With the bright blue walls and various nautical decorations, Lin said she hopes it makes customers feel welcome. Hi Poke is also partnering with a baker to sell not just tea snacks but the store can take orders for custom cakes. Lin also said they will soon be selling milk tea along with the tea snacks. Also, the poke bowls are put in what Lin called environmentally-friendly packaging. 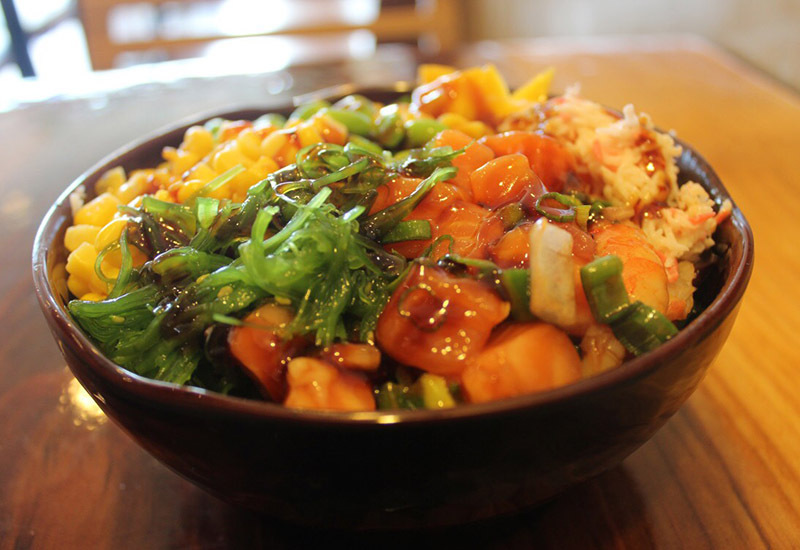 Hi Poke is located on 9573 Chapel Hill Rd. in Morrisville. Story by Michael Papich. Photos by Michael Papich and Hi Poke. Looking forward to trying it out. There’s also a poke place called “Zen Fish” opening up down the same stretch of Chapel Hill Road later this year.